This week I am interviewing Donna, she is one of biggest mum bloggers in the uk today and is currently ranked as #1 on the Tots 100 index. Donna writes What the Redhead said, one of the UK’s top family lifestyle blogs. What the Redhead said has evolved over time to become Donna’s full time job and it has documented the whole of her children’s lives within its pages. Donna writes about every aspect of family life from days out to travel and all the little bits in between. So it’s time to find out just what did the redhead say. On with the interview. I started blogging in April 2012 to document my daughter’s weaning journey. We did baby led weaning and back then there wasn’t much information around about it so I thought it would be interesting to write about and it might help other people too. 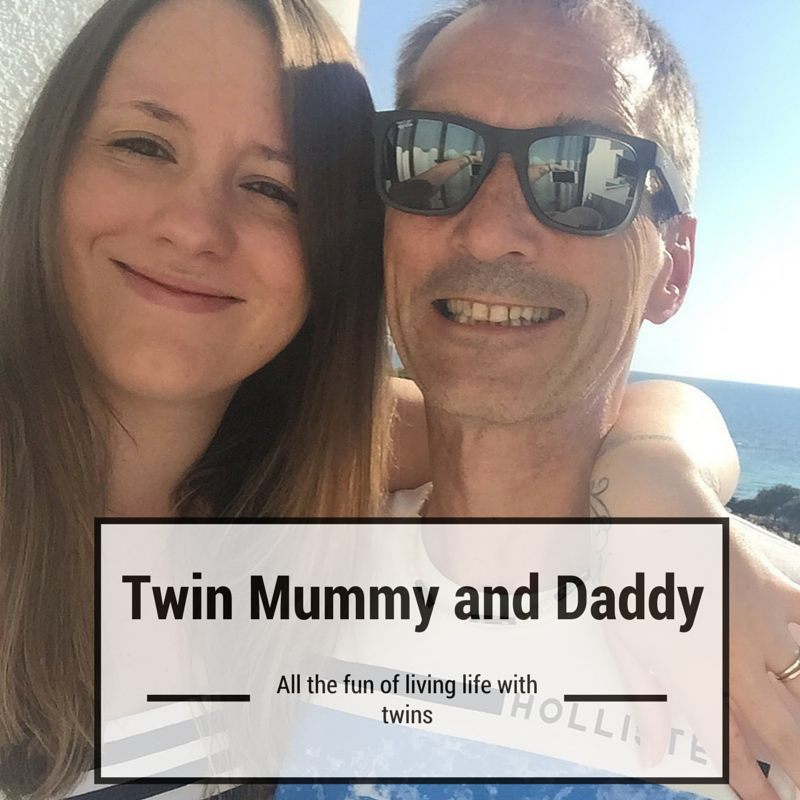 My weaning posts are still some of my most viewed but the blog has grown and developed so much since then. I had to drop out of college when I was 16 and so I only have formal high school education. After that I worked in retail before getting a job in a bank and working up to being a Branch Manager before having the children. I know many bloggers have a background in marketing, journalism or PR but I’m incredible far removed from that. However, I have always loved to read, loved to write and my work life before the blog became my job did give me an insight into so many different sections of the community and people’s lives that I think helps me to be relatable in the content I produce. I look at my page views each day and I like to look at the chart positions when they’re released each month but I don’t have more than a passing interest in those sorts of things. I can look at them and then get on with my work – I don’t dwell on them. 4. When you get approached by a brand who wants to work with you, how do you decide if it’s right for you and your readers? 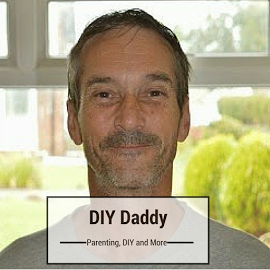 As a family lifestyle blogger the content I produce is really varied and covers a wide range of topics. I feel like I can write about anything that may have some impact on family life – or life in general. So really, if someone wants to work with me and I think that I could write something interesting about the topic, and create valid content, then I’ll be happy to work with them. I think the main thing is you have to be dedicated and have perseverance. Successful blogs need to have a whole bank of evergreen content for search engines to find that takes years to produce. They also need to have established social media accounts, good follower numbers and good engagement levels. This all takes so much time to grow and there are times when you feel like no-one is reading your blog, no-one is talking to you on social media and you wonder why you are bothering. You have to get through that, persevere and keep doing what you’re doing with the faith that at some point your blog will be a success and things will happen more naturally. People will follow you on social media, interact with your content and, ultimately, read your blog. But, as the saying goes, Rome wasn’t built in a day. Two years ago I gave up my day job to be a full time blogger and that made my work/life balance so much better. Now, with two school age children, I feel like I have a pretty good balance. I drop them off at school in the morning and pick them up in the afternoon and the time they’re at school is my time to work. But, I also go to the gym and do all the life admin too so, as well as working during school hours I also work when the children are in bed for a few hours but I always have a couple of evenings away from the laptop a week. I have always had the children visible on my blog and social accounts but I do all I can to protect their full identity. I don’t disclose where they go to school and as time goes on if they don’t want to appear on the blog then I’ll respect that. But, for now, I’m going to carry on as we are. (I haven’t actually!) I think it’s lovely to win awards but they aren’t the be all and end all. I have been shortlisted for countless awards and that in itself is amazing recognition. I am always really aware of the need to be a voice. Many people respect and trust influencers and because of that we have a duty to not only be honest and transparent but also to stand up for causes we believe in, champion things that matter and try and be the change we want to see in the world. I make sure that whatever content I create has opinions that I stand by and I won’t create content purely to court controversy – readers deserve better than that. Oh wow, that’s a big question. I don’t think I could ever go back to a traditional day job and being in a customer facing environment. Instead I think I would probably look to help other businesses with their social media, using the skills I have now in a productive way going forward. I’m always teaching the children that having our lives online has meant that I can stay at home with them and it has given us incredible experiences – holidays, days out and so much that we wouldn’t have been able to afford otherwise. Because of that I think the children will be happy in the knowledge that our lives being online has been worthwhile and, after all, the majority of the world are online anyway in one form or another. Plus, the children will have all of their memories online too whenever they want to look back at them. Now I am so open about being a blogger and so there isn’t usually any reaction it’s just a given. But, years ago when I started blogging people were really sceptical about it and didn’t really understand that it could be a viable career too. Blogging has changed massively since I started. The main difference now is that so many people are starting blogs every single day – the community is so much bigger than it ever was before. But, there is space for everyone which is the amazing thing. I also think that brands and PR companies really value bloggers a lot more now and see how worthwhile influencer campaigns can be. The industry has grown massively and it’s a wonderful thing to be a part of. I don’t advertise gambling in any form, I wouldn’t work with any formula companies and I don’t working with vaping brands or anyone helping people to make claims against the NHS. Other than that I write about most topics on my blog. I think, like with anything, there can be good and bad companies and good and bad people within them. But, on a whole I have had really good experiences and have built great relationships with many PRs and brands. I can’t imagine a day where I’m not writing What the Redhead said – it’s such a huge part of our lives. I think in five years time – when the children are twelve and ten – I’ll still be writing this blog but the content may have adapted. I’ll be writing more about food, travel and life and less about the children and their milestones. I think the blog will just evolve naturally over those years. Being nominated for awards is always exciting and something I will always be proud of. I was also part of Alexandra Burke’s SlimFast choir a few years ago and Lapland UK at the end of last year was an incredible experience for the whole family. There have been a lot of exciting blog moments – and I hope there’ll be many more to come. 18. What has given you the most satisfaction from blogging? That’s easy – being able to stay at home with the children. That is the most satisfying thing. I drop them off in the morning, come home, make a cup of tea and sit down to work. I don’t have to wear a uniform, I don’t have to ring in sick, I can always go to assemblies and sports day and I will always be there to pick them up at the end of the day. I’ll never take that for granted as I know it’s such a privileged position to be in. 19. Do you think with the rise of Instagram and other social platforms could we be seeing the end of the blog? No, I think there will always be a place for blogs. Blog content will always be found in search engines – people will never look to Instagram to find a recipe or tips to help their baby sleep through the night. Instagram is a lovely, instant way of passing time but it’s not really a database of information or a resource in that sense and so I think blogs will always be there for that reason – with Pinterest following closely behind, pinning all those resources to it for use at a later date. 20. Finally did you ever in your dreams think that you would become a premier mum blogger when you started? When I started my blog it was nothing more than a hobby. I would write posts, publish them and not even check if anyone had read them. I didn’t know that ‘being a blogger’ was a thing – let alone that I could make a viable career out of it. Being a successful blogger is amazing but I still feel like the bubble could burst at any moment. I’m loving this life, the opportunities and the way of life it has given our family but I won’t be taking it for granted. I had no idea this world existed when I started but I am so glad that it does. Thank you to Donna for agreeing to be interviewed by me. Don’t forget to check out Donna’s blog What The Redhead Said you won’t be disappointed.